As previously mentioned, there are a lot of misconceptions about motorcycle insurance. I couldn’t begin to list of all of them, but I will discuss and dispel the most common and most dangerous one I hear on a regular basis in the motorcycle collision cases I handle. The single most common misconception I hear is people thinking they don’t need to purchase a lot of motorcycle coverage, because their car insurance will cover them in the event of a collision. DON’T MAKE THIS CRITICAL MISTAKE! 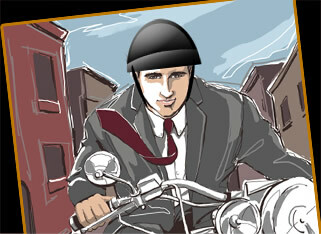 You are NOT covered by your car insurance for an accident on your motorcycle! In fact, every motor vehicle policy contains an exclusion specifically denying coverage for injuries sustained while operating a motorcycle. It doesn’t matter whether your car insurance is through the same company, whether the bills get mailed to you in the same envelope, or whether the same agent sold you the policy. Your car insurance WILL NOT cover you for an accident with your motorcycle. 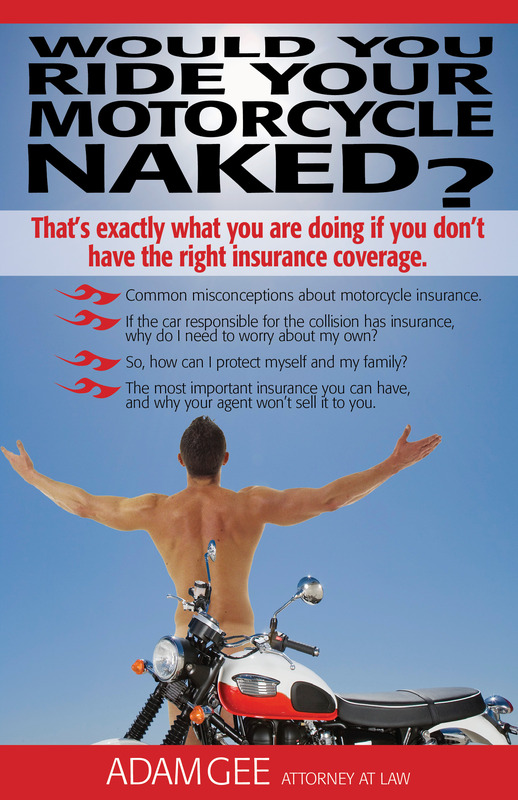 This post is the fourth in an eight-part series covered in my book, “Would You Ride Your Motorcycle Naked?” It is available FREE to New York and Pennsylvania bikers, and to those whose loved ones are bikers. Click the link above to get your free copy now, before it is too late!